These foam surrounds were fairly easy to install; the most difficult part was prepping the speakers. I did notice that the glue has a tendency to lift up the foam flap when gluing it to the speaker frame. One has to wait for the glue to get really tacky and then press firmly around the frame for it to stay down. But the end result is just great. I appreciated having questions about my speakers answered personally and promptly. Very happy with the product,fast shipping and excellent customer service. 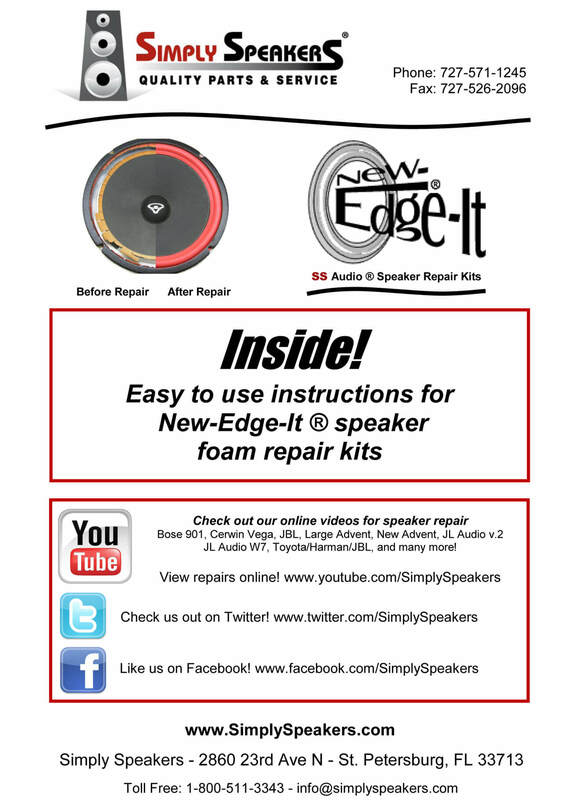 Simply speakers was awesome I just bought the wrong foam. This kit worked perfectly. I watched to U-Tube video and followed the direction. My speakers are like new again!! 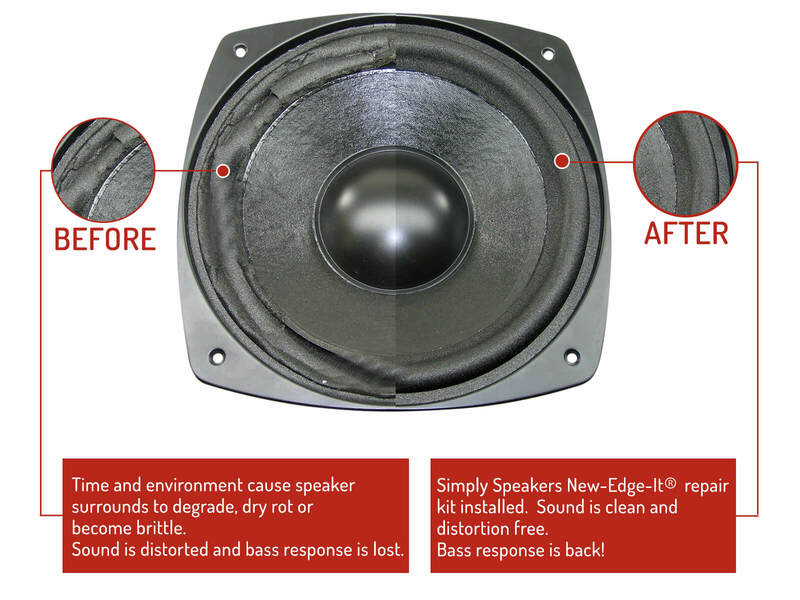 This is the first time I've done anything like this and it was so easy, I recommend this speaker repair to anyone regardless of experience. I ordered these parts to repair a set of EV 100S speakers made in 2013 and installed in a space where they were exposed to sunlight and 'room dirt'. The speakers were discarded as defective and I grabbed them just before the dumpster. After cleanup and further inspection, I found the crossovers to be in good shape, but one tweeter was defective. The rebuild was straightforward and simple, just follow the directions. I chose to remove the center cone and use shims to insure the coil remained centered while the glue dried, then reinstalled the cone using diluted wood glue and a paint brush. Speakers sound as good as new and I am, once again, very happy to work with Simply Speakers. I was given a pair of Electro Voice speakers from a friend. They had been sitting in the attic of his garage for over 30 years. I ordered a pair of foam surrounds for the woofers and installed them. They work perfectly! 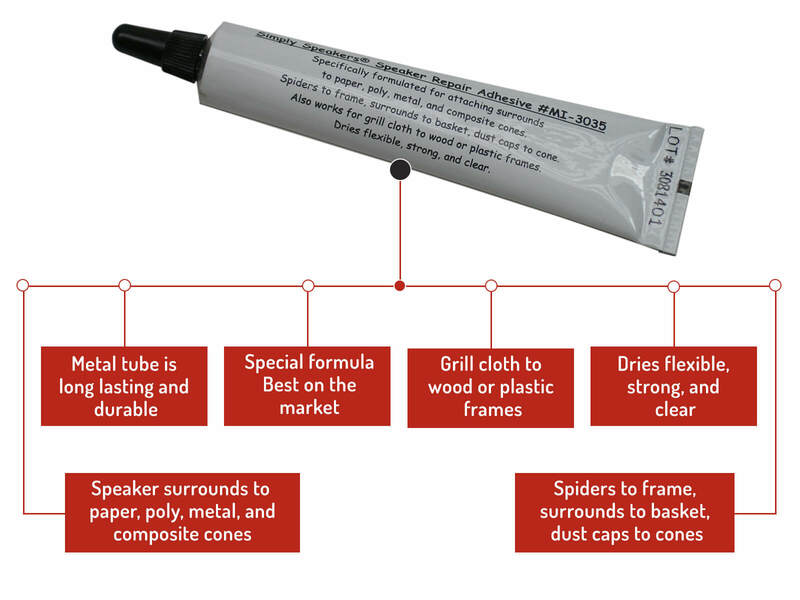 What I like best about the Simply Speakers repair kits is the glue they supply. 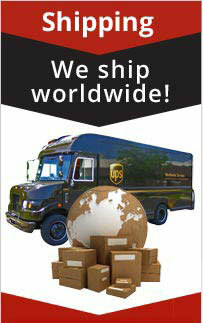 It has a fast tack time and makes the job much easier. These kits worked beautifully. Did my first gig with the "new" speakers and they sounded great! 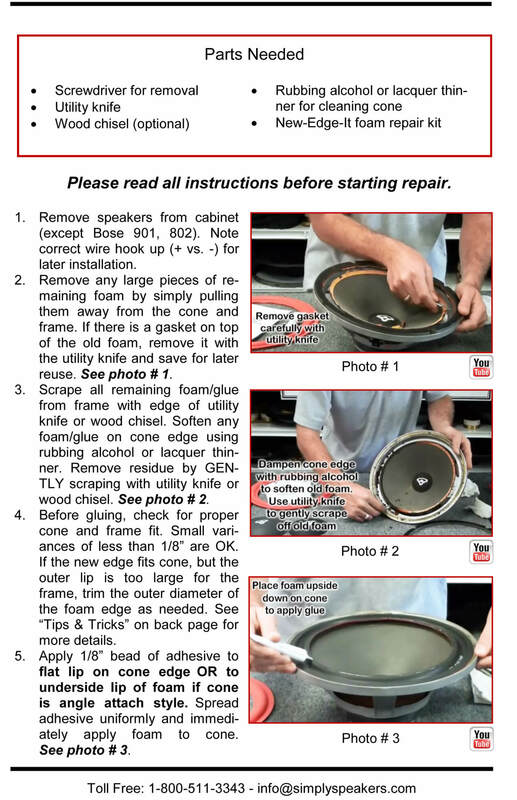 Don't throw out speakers when they can be restored so easily. Thank you for the great service! Thank you for an excellent product and swift, efficient service. The advice I received by e-mail was prompt, accurate, informed and most welcome. I ordered the foam repair kit for my EV/Tapco 100S speakers and it arrived in the UK within one week. 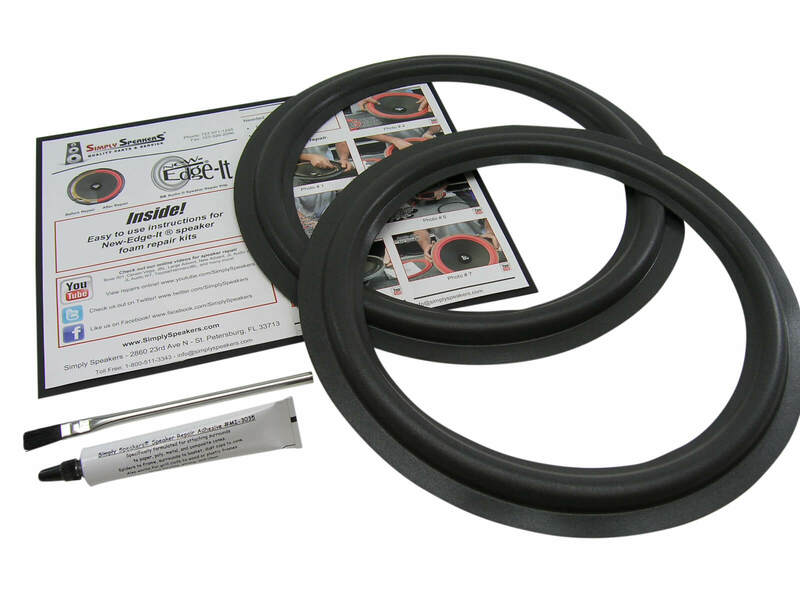 The kit was easy to fit, following the excellent instructional video on your website and the instructions supplied. I now have a pair of classic EV speakers that will be good for the next 20-30 years, maybe more. My speakers sound great again! 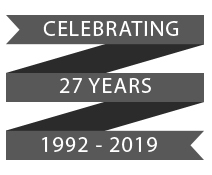 with sincere thanks and best wishes to you for another 26 years of excellent service. The speaker repair kit worked wonderfully to bring my old speakers back to life. The prep work was easy enough, although it did take a few hours to get all the old glue and material off and prepare the surface. My speakers were also glued to the speaker box frame which add more time and difficulty to separate them. I used the self centering method, and although they didn't come out perfectly centered, the sound quality does not seem to be affected. In fact, they sound new again. Thanks for providing a low cost way to resurrect old speakers. Very Easy To Do. Great Kit! 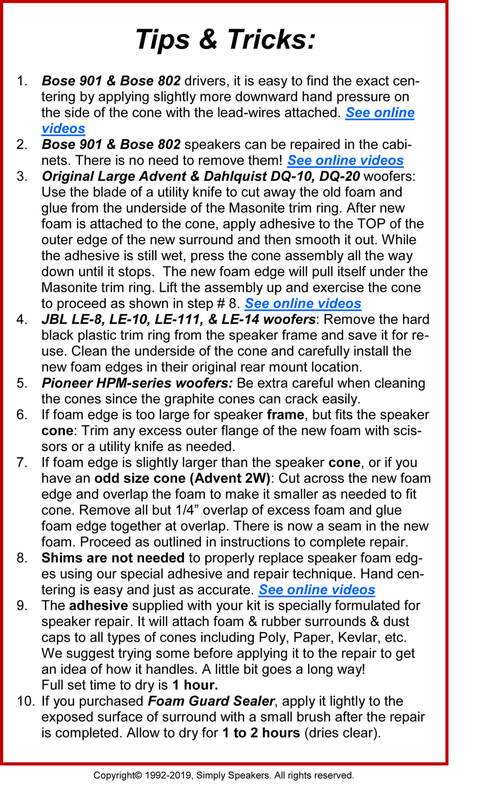 I followed the instructions and easily replaced the foam on two 12" speakers that came from some old EV "The Entertainer" series speakers. These are great sounding speakers and they sound as good as new with the replacement foam surrounds. 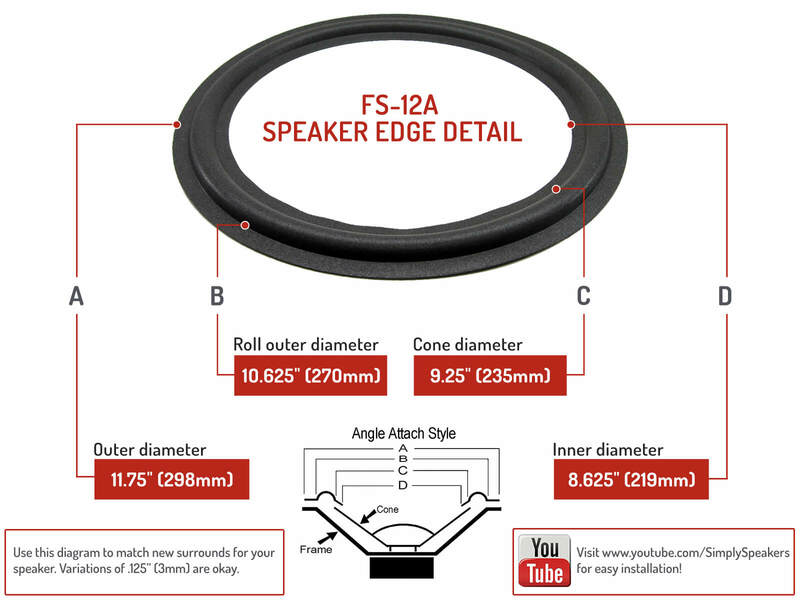 Q: What is the difference between 12 A and 12 F surrounds? A: The 12A is designed to fit and "angle" attach cone and the 12F is designed to fit a "flat" attach cone. 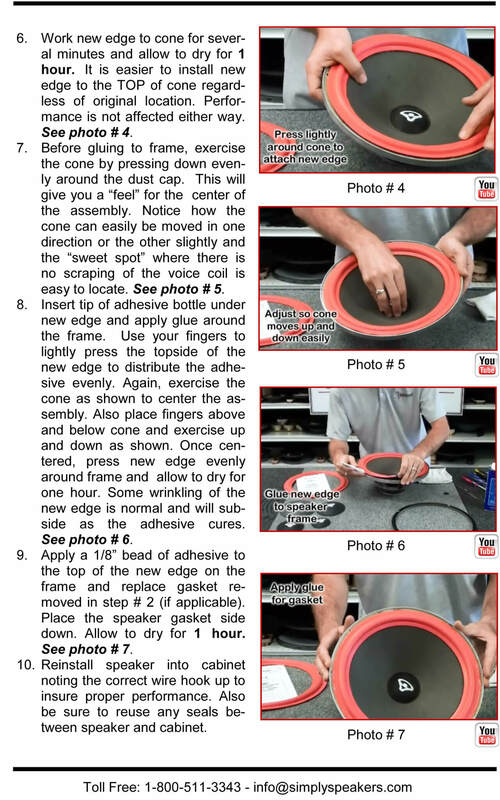 Look at the edge of your cone and determine whether it has a flat lip or has an angle all the way to the edge. We also show a diagram of the two types on the FAQ page of our website. Electro Voice / EV: CH-2560, DL-12, DL12, DL-12BFH, DL12BFH, ETR 18, EVS 16B, FR12-2, Interface D, 812-9851, Sentry 500, Sentry IV A, The Entertainer (100), 100S (Entertainer), Tapco 100S, EVI-12, 812-2054, 812 2054, Baron, and many more!